The impressive list of Kia awards has grown with the addition of wins by the Kia Soul and Kia Cadenza at the annual Active Lifestyle Vehicle of the Year Awards, which recently took place in Chandler, Ariz. The Kia Soul marked its fifth straight win in the Active Lifestyle Vehicle of the Year Awards, claiming the top title in the “Urban” category, while the Kia Cadenza was crowned the winner in the “Luxury On-Road” category. Among the qualities that brought the Soul this impressive fifth win, its roomy and flexible interior wowed the local members of the media and the top athletes in attendance, who rated the winners in each category. The Cadenza caught the eyes of the crowd with its impressive new design and comfortable space for passengers as well as its enjoyable drive quality, functionality, and outstanding array of features. 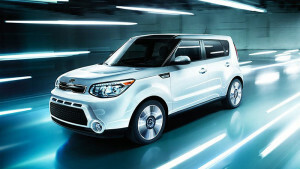 The 2016 Kia Soul has reigned as one of Kia Motors America’s top-selling vehicles during the 2016 model year. Uniting a fun design with functionality, the Soul is packed with amenities and also brings impressive utility in a small package. For the 2017 model year, the Soul will return to the road with the option of a turbocharged engine to further entice consumers. The Kia Cadenza boasts refined design, a spacious interior, and cutting-edge convenience amenities, placing it near the top of the heap among its competitors in the full-size sedan market. The 2017 Cadenza will be arriving at dealerships soon, wearing an estimated price tag that starts just under $32,000. The elegant Cadenza proves once again that driving a luxury vehicle doesn’t have to drain one’s bank account! Ready to Meet the Winners? If you’d like to go for a ride onboard the award-winning Kia Soul and Kia Cadenza models, then head over to Jeffrey Kia, or contact us today. A member of our team is standing by to go over the features and options for these outstanding vehicles and set you up on a test drive!